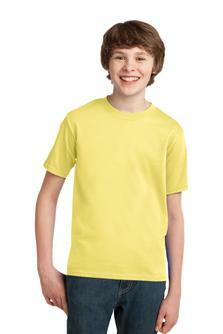 Minimum quantity for "Youth Short Sleeve T-shirt" is 1. 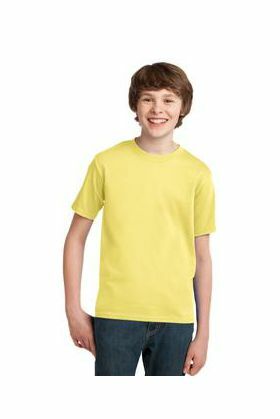 Kids like t-shirts too and we have them. Because many kids love a picture of their pet on their own shirt, you can choose from the b.hickman designs found here www.hickmanart.com or send us a photo. Either way, you are sure to get smiles from the kids. Our youth tee's are made with the same care as our adult tees. They are heavyweight 6.1-ounce, 100% soft spun cotton, 1x1 rib knit collar, shoulder-to-shoulder taping, coverseamed neck, double-needle sleeves and hem.Please select size carefully. Since we custom make all designs to your specifications, only items that have a manufacturing defect may be returned.